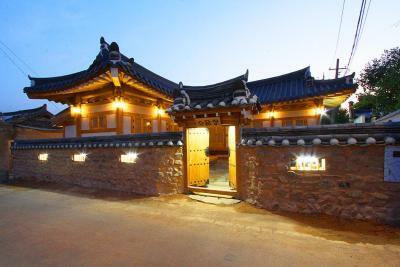 Lock in a great price for Hanok Sodamjeong - rated 8.5 by recent guests. Loved my stay at this place. Got to experience how Koreans live. Rooms were clean. Staff was very helpful even if she does not speak much English. Good location as near tourist spots. Our two night stay was enough for my son in law who never been to a traditional Korean house. Cosy place, good location, walking distance to the bus terminal and the tombs! The Hanok house it about 15mins walk on foot from the Bus Terminal. When we arrived we were greeted by the cleaning lady who took our stuff since it was too early to check in. Our room was spacious enough for 3 persons and all our luggages. At night we met the owner who provided us with an extra mattress at our request. The patio was lovely to have something to eat there and enjoy the night breeze. It's the best place I've stayed in Korea so far for my 3 weeks travels. It's extremely clean, very comfortable and at great location. The owner is amazing, polite and accommodating, that makes you feel at home immediately. The complimentary bread and jam in the morning was great too and very delicious. It's close to all means of transport - both bus terminals and the train station, with a lot of local buses passing nearby and in the same time it's very quiet in the evening. 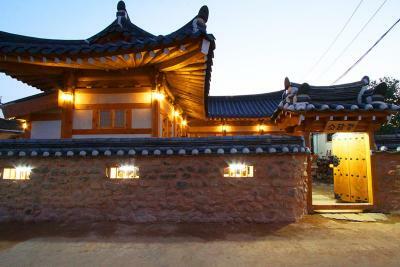 If you want to stay in a traditional Korean house (hanok) this is definitely your place! I highly recommend it!!! One of our bestsellers in Gyeongju! Located a 5-minute taxi ride from Gyeongju Express Bus Terminal, Hanok Sodamjeong offers true Korean rooms with Ondol, Korean-style floor heating. Free WiFi is accessible throughout the house and free off-site parking is available. 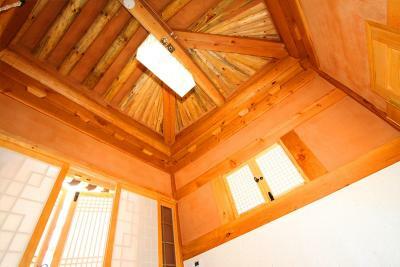 Decorated with Korean paper, Hanji, each room is equipped with a flat-screen TV and a seating area. The rooms features Korean-style futon mats. 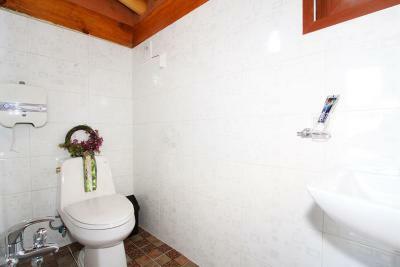 Private bathrooms include a shower, a hairdryer and free toiletries. You can enjoy garden views from the room. At Hanok Sodamjeong you will find a garden and a shared kitchen. Other facilities offered at the property include luggage storage. The guest house also offers bicycle rental service at a surcharge. The guest house is a 5-minute drive from UNESCO treasure Daereungwon, the royal tomb complex of Silla dynasty. Gyeongju Train Station is a 7-minute drive and Gimhae Airport is a 90-minute drive away. Hanok Sodamjeong has been welcoming Booking.com guests since 24 Jun 2014. 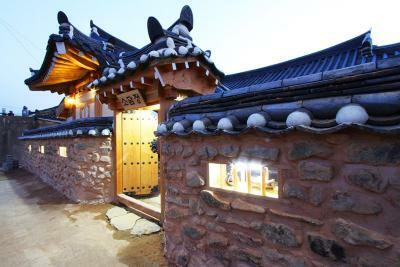 When would you like to stay at Hanok Sodamjeong? House rules Hanok Sodamjeong takes special requests - add in the next step! Hanok Sodamjeong accepts these cards and reserves the right to temporarily hold an amount prior to arrival. Please inform Hanok Sodamjeong in advance of your expected arrival time. You can use the Special Requests box when booking, or contact the property directly with the contact details provided in your confirmation. Very small mattress. 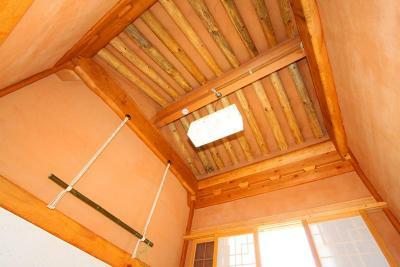 While this is a traditional hanok style it wasn't very comfortable. The floor was too hot as well. Tried controlling the temperature but wasn't satisfied. There was a rotten smell outside in the garden and the kitchen wasn't very clean. The garbage wasn't cleared the few times that I visited the kitchen. Very good location. Cute hanok. Need to call owner for check in. Without a phone to call will be difficult. It was a clean and nice room. The staff was so nice. I can definitely recommend this place. Floor heat (ondol) was not working well and thus it was a colder night. Extra bedding might have helped so be sure to ask for more earlier than at bedtime if staying during the winter. Bedding was more comfortable and shower well designed compared to many hanoks. The location in a quiet neighborhood is well suited for exploring the area attractions. The owner was very friendly however, she was not there all the time. The first night, all of us barely slept because the rooms were so cold. I had to seek her out next day to request extra blankets. The free breakfast was non existent. We had to cook for ourselves. the Unfamiliar cooking equipment was challenging and we gave up eating at the place. The location was little out of the way from the main attractions. Had to walk out of the neighborhood to catch taxis. The bathroom was a bit small but somehow we managed. The rest was a nice experience and wouldn't mind staying there again.